Let the light shine in. When you want it. Let the local experts at Budget Blinds help keep the heat out this spring! We’re your local neighborhood experts and we’re backed by North America’s #1 provider of custom window coverings. Here at Budget Blinds East Austin, we do it all for you: from design, to measuring, to install because we think everyone—no matter the budget— deserves beautiful style, outstanding service, and the peace-of-mind of the best warranty in the business. American Board of Facial Plastic & Reconstructive Surgery, American Board of Otolaryngology/Head & The from greatest challenge for people with hearing Neck Surgery loss gained aging or noise loss is understanding speech in the presence of like everyone is mumbling. background noise. • Step One: Receive a hearing evaluation to diagnose hearing loss. Make an appointment with Dr. Bea. She will afﬁrm you. • Step Two: Implement a treatment plan by wearing hearing instruments Most patients can hear. But hearing does notimprove matter when that will your ability to better understand speech, decrease listening effort is and the ability to retain conversation. it’s hard to understand what is being said. There aincrease solution and she can help! Meet Dr. Bea Smith who is an experienced Doctor of Dr. Daniel J. Leeman works closely with Audiology with a history of working in pediatric hospitals, highly credentialed licensed audiologist, the hearing aid manufacturing and in private Brandeeindustry Richardson, AuD who practice setting to include ENT ofﬁinces. specializes hearing loss. Tag @eastsideatxmag in your favorite East Austin photos and use the hashtag #EASTsideATX to be featured! 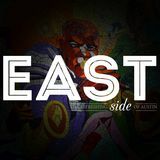 CONNECT WITH US eastsideatx eastsideatxmag We promise we read every single comment! Copyright © 2016 Nillo Studios, LLC. EASTside Magazine is published by Nillo Studios, LLC. No portion may be reproduced without express written consent. Editorial or advertising does not constitute advice, but is rather considered informative. Expressed opinions are those of the author and do not necessarily reflect the views of ownership. A diversely populated STEAM school with infant sign-language and Spanish language instruction. On the Cover This cover is full of color and energy. Eric Morales captured the photo with model Andrea Stapper. Workout clothing was provided by Bikram Yoga East Austin. We had a great time shooting it at Austin Bouldering Project. Myco Alliance has one goal: to educate the community on all things fungus. Discover the benefits of fungi and learn how this organization seeks to spread awareness of mycology through its community-driven initiatives. From competitive and high-energy to soulful and healing, fitness takes on many forms. But the constant remains the same: good health cab be a priority. Discover the varied exercise options throughout East Austin and its many fitness activities that range from classic to unconventional. Fast, free DELIVERY, & NO TIPPING POLICY Austinâ&#x20AC;&#x2122;s hottest chinese delivery & carryout restaurant. Just ten minutes from the airport, Aspire and Austin brand, Exo, are on a mission to bring crickets to dinner tables in an effort to create a more sustainable planet. YOU’RE AT HOME WITH UFCU. Local, knowledgeable, experienced, responsive resource, smooth and efficient processes. From first time homebuyers to luxury clients, I can help you with your mortgage lending needs. Our original crispy chicken breast tossed in Buﬀalo Sauce and topped with Bacon, Fresh Leeuce , Crisp Carrots and our house-made Ranch Sauce. It’s Flynomite! DIABETES RESEARCH is now an available service for qualifying candidates. Call (512) 334 3505 or stop by to find out more about the trial. ROUND ROCK, TEXAS SculptFest will feature over 60 artists from across the United States. We are pleased to announce to have artists from twelve states represented this year, plus eleven top Native American sculptors. The festival also will include sculpture demonstrations, stone carving, 3D printing of sculptures, bronze pouring, a childrenâ&#x20AC;&#x2122;s art-in-action area, food trucks and music. When Justin Balleza stands in front of his students in the classroom at Atelier Dojo, he instructs them in the practice of cast drawing. But while the students listen intently to the influential direction of their teacher, Balleza is just as impacted by their presence. hile he hopes to provide his students with a versatile set of tools for their own art practice, teaching has also enabled Balleza to appreciate and refine his own process as an artist in Austin. April 12-13 The 18th annual Lonestar Round Up will feature miles of vintage vehicles and custom cars driven into Austin from around the country. This festival brings together cars, history, art, culture, and music that the whole family can enjoy. Admission is $15. lonestarroundup.com | 7311 Decker Ln. April 20, 10am Bring the entire family to Huston-Tillotson University for a morning of fun at the Community Easter Egg Hunt. Prizes found in the egg hunt vary from candy to a $500 scholarship. The event will have an Easter story before hunt starts. Then will kids join their age groups to begin the hunt. The event is free and open to the public. htu.edu/35319/community-easter-egg-hunt | 900 Chicon St.
April 14, 1-5pm Enjoy bites made from fresh farm ingredients and drinks from local brewers and wine merchants at the East Austin Urban Farm Tour. Boggy Creek Farm, Hausbar Urban Farm & Guest Haus, Rain Lilly Farm, and Eden East Farm will have guided tours which allow guests to meet the farmers and learn their processes. Single and group tickets are available. April 20, 10am-6pm See the inside of ‘weird homes’ around Austin and meet the owners and architects during the tour. This unusual tour allows people to go at their own pace throughout the city visiting these unique homes. Under the Sea house, an Eastside favorite from the 2015 tour, is back on the list with an brand new ocean fence, beach driveway, and a new backyard. May 3, 6:15-9pm Grab a spot on the lawn and enjoy a night of music at Rock the Park. Make sure to bring a blanket to sit on as chairs are not permitted. Headlining is Austin-based band, Shy Beast. Food trucks will be on site, and there will be face painting, coloring, and other fun activities. Admission is free, and there will also be cold beverages for adults to purchase. 4550 Mueller Blvd. May 8, 6-10pm From Candy Land to Ticket to Ride, Board Games & Beer Night at Hops & Grains mixes tasteful competition with adult beverages. This free-to-play event allows gamers to bring their own favorites or choose from games there. Drinks will be available for purchase, so grab some pals for a night of friendly competition. May 18, 9am-12pm Join the American Heart Association for its first CycleNation Austin event taking place at Amy Donovan Plaza at The Domain. CycleNation empowers people across the country to use road and stationary bikes to get brain and heart healthy, all while raising funds for community programs that will prevent stroke and heart disease. Reserve a spot to have a guaranteed bike, then start finding supporters to help reach the fundraising goal. cyclenation.org/austin | 11410 Century Oaks Ter. May 18-19, 11am-6pm Shop from over 130 national and local makers and designers at the Renegade Craft Fair. This springtime marketplace will also have vinyl DJ sets, interactive features, drinks, and local food trucks for visitors to enjoy. Entrance into the fair is free while food, drinks, and art will be available for purchase. renegadecraft.com/fair/ austin-spring | 1100 E 5th St.
June 1, 12-6pm The Soul of Austin Culture Fest is returning to celebrate a mosaic of cultures manifested through art, music, food, and unique performances. Striving to be a tool for the community, the festival will offer free job advice, books to kids, medical/health screenings, and more. General admission is free. eventbrite.com | 900 Chicon St. Founded in 2006 by brothers, Mark and Martin Floreani, FloSports was born out of a personal desire to see more coverage of nontraditional sports. It was this desire that drove FloSports to become the innovator in sports media. s track and wrestling athletes, the Floreani brothers were looking for more information about their sporting events but couldn’t find any coverage. So, they set out to capture the stories that no one else was telling. They packed up a van and traveled across the country, cameras in hand, determined to shed light on nontraditional sports by filming live track and wrestling events and interviewing coaches and athletes. While the athletes and organizations they encountered were receptive to the brothers and appreciative of the coverage, these groups had long been underserved and didn’t realize how this attention could make an impact on their sport. UNIQUE WEDDINGS. CRAFTED PORTRAITS. EPIC EVENTS. CALL TODAY. EAST AUSTIN’S RECORD SHOP specializing in used and collectible Rock and Pop from the 60s, 70s and 80s and offering private, on-site guitar lessons. MUELLER MARKETPLACE A go to source for making your way around the Mueller retail area TOY DOJO Whether you’re a child or still a child at heart, we want you to feel welcome at Toy Dojo! We’re a local, owner-run toy shop specializing in toys and collectibles from all across pop culture. We focus on bringing in some of the best toys from all over the world. From Dragon Ball to Transformers to Gundam and even superheroes like Iron Man and Batman, we have a variety of joy-inducing nostalgia for you to browse and purchase. If you’re in the Austin area, stop by our shop located in the Mueller neighborhood, just minutes north of Downtown Austin. If you’re not so close, check us out online at www.toydojo.com. We offer FREE shipping on all domestic orders of $150 or more. At Toy Dojo, we take toys seriously, but not too seriously! What is coffee without brunch? The answer is, not much. To prove it, Halcyon devised a menu where you can taste test your way to your perfect pairing of food and coffee, and did we mention mimosas and cocktails? With options like country style Benedict, gourmet salads, and banana Nutella waffles you’re going to have to come back to try all the combinations. And you can, anytime. Halcyon is a coffeehouse by day and a lounge by night because if we’re being honest, there’s no wrong time to enjoy a solid brunch pairing. Known for its “farm to pizza” ethos, there are so many more tasty options at Stella Public House than just pizza. With a seasonal menu featuring wood-fired skillet entrées like roasted rib-eye and delectable appetizers like warmed beets and goat cheese or sweet potato gnocchi, the pub’s relationship with local growers, ranchers and purveyors now has even more chance to shine. Plus, there is a beer list with 30 rotating taps of craft beer and an approachable, internationally-curated wine list. Every scarf is its own story, and the story is not completed until it finds its owner. The ino scarf elegantly flows from the past with ancient artwork laced into today's silk fabric for you to enjoy for years to come. Are you ready to start a conversation within the community? 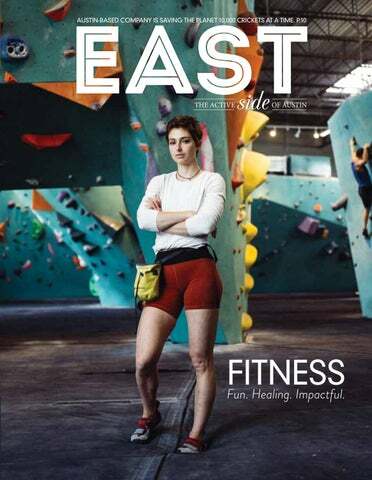 Whether you’re looking to reach Mueller, the surrounding neighborhoods, or Central & East Austin, the EASTside Magazine team engages 100,000 active, educated, and involved readers who have discretionary income and take action based on what they read in our publication because we fit their lifestyle. As a part of the community, you can benefit from of one of the most sought-after stomping grounds. Let people know about your business! Gift Guide Mothers Day, Fathers Day, graduations, and weddings are quickly approaching and our amazing local shops are committed to making your shopping experience a smooth and enjoyable one. Here are a handful of fantastic finds. Competitive Fitness In the classic sense of the term, fitness is often associated with Greek Olympics-style sports where humans heave javelins and run circles around a track in an attempt to prove that they have a competitive edge over their peers. While javelins have fallen out of style, there are still plenty of options to maintain a competitive edge, both independently and on teams. illustrates that the success of CG stems from the community that the organization has built. “We do life together,” he says. Part of that lifestyle includes attending outdoor workouts where certified personal trainers coach individuals through workouts and monitor their form and progress. The idea is that by showing up regularly to this community, the power of the group will create a sense of accountability for everyone; the trainers are just there for the nitty gritty questions. Joey proudly admits, “We want to be the fitness heroes of our local communities and be a resource for anyone who wants to reach any fitness goal that they have.” campgladiator.com | 4209 Airport Blvd. AUSTIN BLACKS RUGBY/ AUSTIN HUNS RUGBY Sure, Americans like football, but there are also plenty who are fans of its cousin: rugby. With two teams in East Austin, there are plenty of chances to attend a match as either a spectator or a player and enjoy the sport that has been a staple of the British Isles since 1845. Blacks: austinrugby.com | Burr Field 6013 Loyola Ln. Huns: austinhunsrugby.com | 4107 Nixon Ln. PHARR TENNIS While many public courts dot the city, one of the crown jewels of the Parks and Recreation Department is in the heart of East Austin. Known as Pharr Tennis Center, these public courts welcome both players who come by to serve a few balls or those who attend rigorous noon workouts to prepare for weekend matches, all for a $4 court fee. pharrtennisatx.com | 4201 Brookview Rd. AUSTIN CRICKET ASSOCIATION Founded in 2006, the association is part of a lively Central Texas cricket scene. The Austin league has three teams that practice on Wednesdays and Thursdays and compete on the weekends. Consistently ranked among the top teams in the Central Texas Cricket League, the ACA encourages participation from all levels and all ages. austincricket06.wixsite.com | 6013 Loyola Ln. Impactful Fitness is a journey that sometimes reaches further than the individual. With these programs, not only is keeping in shape a goal, but participation in community programs also helps to shape East Austin into a better place. AUSTIN ROWING CLUB As Austin’s oldest non-profit rowing club, ARC has accrued over three hundred members of all ages and life stages. Although a highly effective sport for getting into shape, rowing is simultaneously a quiet adventure and an exploration of teamwork. Rowers have the luxury of gliding unencumbered over the glassy lake through the cityscape, but doing so takes the power of a cohesive team. This teamwork aspect has naturally evolved off the water as ARC has become a community organization that is active with Austin Parks and Recreation Department and Austin schools, including Martin and Murchison Middle School and Travis High School. Through this RISE program, the rowing club donates indoor rowing machines to the schools and trains PE staff on how to incorporate them into workouts. Additionally, ARC provides free rowing for youth with demonstrated financial need. In an effort to continually increase their diverse membership, the club also offers adaptive rowing programs, programming for veterans, summer programs with Austin Parks and Rec, and a program that works with juvenile offenders called Project Engage. austinrowing.org | 74 Trinity St.
I9 SPORTS Kids play sports to have fun. In hopes of encouraging their spirits along with their athletic capabilities, i9 Sports offers flag football, soccer, basketball, baseball and ZIP Lacrosse™ leagues for children ages 3 and up. Through focusing on developing a character trait associated with each sport, i9 hopes to build good sportsmanship not just on the field but also in the everyday lives of children. Although a national program, in Austin one of the largest divisions of i9 Sports operates out of Mueller Lake Park in Austin. i9sports.com | 4550 Mueller Blvd. Healing/ Nurturing Sometimes fitness is dependent on the state of heart and mind. That is, after all, why they say, “Get your head in the game.” To achieve this, there are more than a few locales that specialize in the emotional equilibrium required to heal the body and mind while staying fit. pain or misalignment. Through individual sessions, Shannon works to get patients back into balance both physically and emotionally. chulel.com | 2025 E 7th St.
their bodies to prevent them from employing “band-aid” tactics to resolve lingering issues in both their mental and physical states. myhomesteadmassage.com | 1109A Shady Ln. SWIMMING It’s the second most popular sport in the United States, according to the Census Bureau, and for good reason. Swimming for just half an hour three times a week can lower stress levels, raise mood, lower depression and anxiety, and improve sleep patterns. It is also uniquely well-suited sport for individuals with locomotion impairments and visual disabilities. Thankfully, this sport is easily accessible in East Austin, which has 12 public pools and East Communities YMCA which offers both children and adult swimming lessons. AUSTIN BOULDERING PROJECT Scaling cliffs in the Texas heat can seem like a daunting endeavor even to the most seasoned rock climber. Thankfully, for those unbearably hot days, Austin Bouldering Project offers indoor rock wall puzzles for climbers to solve with their hands and feet. With boulders that are 13 to 17 feet tall, there is plenty of space to get a workout. austinboulderingproject.com | 979 Springdale Rd. GOLF It's one of those magical sports that can be as serious or as casual as players make of it. With Morris Williams and Harvey Penick Golf Courses located in the heart of East Austin, there is no shortage of opportunities to play 18 holes. However, if 9 holes with colorful obstacles and a kid-friendly atmosphere are a better speed, visit Duke’s Adventure Golf down in Bluff Springs. “GOLDEN ACE” R&B DANCE LINE At the Conley-Guerrero Senior Activity Center, there are a multitude of activities available to adults who are looking to have a little fun and exercise while they’re at it. On Thursdays, the music gets loud and feet get moving at Golden Ace dance line practices. Everyone over the golden age is welcome to join, and classes are free. 808 Nile St.
EAST SIDE TRAILS For the BMX community, the Eastside has some of Austin’s finest jumps. Standing up to 15 feet high, this course is recommended only for experienced riders as the dirt ramps will propel bikes up to 30 feet into the air. East Side offers three main lines to ride in, but because of the unique terrain, many of the jumps graze trees so caution is encouraged. Research has shown that children with disabilities benefit from learning alongside their typically developing peers. They are more engaged in the classroom, they receive more instruction in both functional and academic activities, and the quality of the Individualized Education Plan (IEP) improves (Bui, Quirk, Almazan, and Valenti, 2010). “No studies conducted since the late 1970s have shown an academic advantage for students with intellectual and other developmental disabilities educated in separate settings” (Falvey, 2004). PLANTING THE SEEDS FOR YOUR CHILD’S SUCCESS Upon entering The Rise School of Austin, you are greeted by a beautiful mural of a sprawling tree with flying doves displaying the quote, “There are only two lasting bequests we can hope to leave our children… one is roots and the other is wings.” Established in 2003, the mission of Rise is to provide the highest-quality early childhood education for ALL children - gifted, traditional and developmentally delayed - in an inclusive setting, where individualized learning techniques enable every child to achieve their maximum potential. “Research has shown that children with disabilities benefit from learning alongside their typically developing peers. They are more engaged in the classroom, they receive more instruction in both functional and academic activities, and the quality of the Individualized Education Plan improves." SAWDUST, CARDBOARD, & COFFEE GROUNDS TURN PRODUCE INTO SHITAKES & REISHI THAT'S THEN OFFERED TO THE COMMUNITY. THE BEST RUNS ARE ENTERTAINING, ENERGIZING & JUST PLAIN FUN. Unobtrusively situated at the end of a dirt path in the Montopolis neighborhood is a lean-to shed surrounded by thousands of gallons of water cisterns, a brica-brac greenhouse, and haphazardly placed pockets of what appears to be sawdust. us,” Daniel explains. Many of the organic debris that are piled around the research station are actually ideal food to grow the fungi mycelium that will produce the “fruit” or mushrooms. Those materials include landscaping logs, sawdust, woody debris, cardboard, and coffee grounds which in turn produce oysters, shitakes, reishi, and Lion’s Mane that Daniel then offers to the community. From donating samples to local restaurants like Bento Picnic and Curcuma for recipe testing to offering courses in mushroom cultivation and operating a mobile fungi lab around town, the end goal of this outdoor project is to not only feed people but also to research different substrates in order to eventually take advantage of all the urban waste streams that the city provides. While currently small in scale, Myco Alliance has recently joined forces with several other local mycology initiatives to form the Central Texas Mycological Society. By expanding, Daniel says the idea is to “create community programs that don’t necessarily need ticket sales to stay afloat.” Now that he has a little more financial wiggle room, he explains that his classes will be expanded to provide courses on mushroom identification, cooking, and extracts in addition to the current offerings on cultivation research and application. The goal is that the partnership will help develop a volunteer network for on-site mushroom cultivation which will, in turn, produce enough mushrooms so that volunteers are guaranteed “payment” for their time. Upcoming Events The idea behind this model Daniel shares is to allow the community access to the powerful health benefits of fungi, which can often be pricey and limited in selection compared to supermarkets. Still, the primary function of the project is education. â&#x20AC;&#x153;Fungi are problem-solving organisms that will, when fully understood, benefit the communities who integrate them into their systems.â&#x20AC;? While he is looking to save the planet through organic means, it only makes sense to share the powerful by-product with the community to help nourish itself. Traditional 5K’s can be lackluster for non-runners which is why more unique races are on the rise. These 6 best fun runs are designed to get participants moving through extraordinary obstacles. LOCAL. LOVING. FUN. Call us to make an appointment. 42 home WITH A HOUSE, THERE’S A STORY—A CLEAR NARRATIVE THAT COMES FROM THE HOME OWNER'S COLLABORATION. Architect Thomas Bercy (of Bercy Chen Studio) was just 11 years old when he signed up for his first art class in Brussels and fell head over heels for design. He recalls an instant and abiding affinity for graphite, charcoal, and India ink. These raw materials brought his visions of sustainably built, story-driven structures to life on the page—and eventually, after graduating from UT’s School of Architecture, to East Austin’s empty lots. oday, Bercy Chen Studio predominately designs commercial buildings, but Thomas likes to mix it up with “half a dozen homes a year,” plus multi-family, office, and mixeduse structures. “With commercial,” he says, “it’s often about the bottom line … but with a house, there’s a story—a clear narrative that comes from the home owners and our collaboration.” Residential projects also allow Thomas “more freedom to experiment,” as these three exotic homes demonstrate. “and they don’t interact with the outdoors. We want a continuum between inside and out, with a focus on outdoor living.” Nowhere is this aesthetic more evident than Bercy Chen’s “fully buried” house, modeled after a Native American “pit house,” or hogan. In place of a branch-based thatch roof, steel I-beams support a “living roof” of native plants and grasses (sourced from Lady Bird Johnson Wildflower Center) that makes the dwelling energy efficient and pays homage to the Texas prairie. An annual orchestra of Texas bluebonnet, Indian paintbrush, and Mexican Hat flowers speaks to the passing of time and the wabi-sabi changing of the seasons. Riverview Gardens Whenever possible, Bercy Chen takes inspiration and direction from the immediate environment of Central Texas.. These separate, but matching, residences located near Fiesta Gardens are comprised of three 40-foot-tall “super structures on stilts,” complete with rooftop terraces and cantilevered top floors that, when it rains, create “curtains of falling water” reminiscent of Hamilton Pool. The intentionally thin, long design channels wind off the lake to reduce temperature, while sandstone shipped from India regulates humidity by absorbing moisture on very wet days and releasing it when the air is dry. and beautiful mashrabiya privacy screens. The home’s interior (including the floors!) was painted, at the owner’s request, 100% white. Color, says Thomas, “comes through art, furnishings, and vegetation,” plus a distinct blue door that mimics Marrakech’s Majorelle Garden (the final resting place of Yves Saint Laurent). are accordingly framed in COR-TEN steel, which naturally oxidizes for a rustic, weathered appearance. As parking became an issue for the studio, however, Thomas started looking for “more space in a parklike setting.” Last year, Bercy Chen bought a property on Govalle, just north of a park, and has since begun construction on a 54,000-sq. ft. facility, part of which will be leased to other professional creatives as a means of fostering “synergy between different businesses.” In keeping with Bercy Chen’s values, the “industrial-style, wedge-shaped” building will feature lots of natural light, a giant library, and earn a 3-star rating from the U.S. Green Business Council. Despite its reputation as a drizzly corner of the country, the Pacific Northwest hides a secret: the Columbia Gorge. Straddling the Columbia River in both Washington and Oregon, the Columbia Gorge boasts gorgeous landscapes along with one of the best wineproducing regions in the world. So grab some hiking shoes and experience the incredible diversity of scenery, climate and activities that the region has to offer. the region is known for. Back in Hood River, Oregon, the main town in the area, stop at Solstice for a wood-fired pizza that is sure to end the day on a high note. lumbia Gorge region. The consistently exceptional wines pair perfectly with a picnic on the sweeping grounds. Lastly, pass by AniChe Cellars where as much care is put into wine production as into the environment and winery staff – which happens to be all female. If there is time left, make the journey to Hiyu, where visitors can enjoy a tasting set against a backdrop of nature and biodynamics. After a couple of hours sipping wine and learning about Washington agri- and permaculture, head back to the hotel for a peaceful night’s rest. of icy water is awe-inspiring. Climb up to the viewpoint above the falls for an unparalleled view of nature’s majesty. Where to find Washington Wines in Austin Washington wines are generally small production affairs coming from family vineyards. As such, Master Sommelier Craig Collins says that there are quality options with great value that pop up in robust wine programs across the city. However, for take home, he suggests selections at Whole Foods, H-E-B, Twin Liquors, and The Austin Wine Merchant. explore the area and its diverse scenery and falls. For more about visiting Washington's wine regions, visit washingtonwine.org. RISE IS MORE THAN A GYM. We love our favorite Eastside newest pet retail store. We get free treats Everytime we come in and they have a great rewards program. CYCLENATION AUSTIN A relay-style stationary cycling event attracting thousands to participate, fundraise, and get healthy. CHANGE THE COURSE OF STROKE & HEART DISEASE. @PAWSONCHICON 512-273-PAWS 1301 CHICON ST.
SAVOR THE FRESH, COLORFUL FOOD & JOYFUL ATMOSPHERE FOUND AT NANCYâ&#x20AC;&#x2122;S SKY GARDEN. WHIP UP A QUICK AND DELICIOUS BREAKFAST WITH ONE OF THESE SIMPLE BOWL RECIPES. DISCOVER A FAMILY BUSINESS WITH A HEALTH CONSCIOUS APPROACH TO JUICING. At Nancy’s Sky Garden, freshness abounds through vivid plates of food, refreshing greenery throughout the restaurant, and the bright demeanor of Nancy herself. Should one be lucky enough to run into her, a meal at Nancy’s promises a healthy serving of joy. Did You Know? Nancy’s daughter named the restaurant after its unique location in Georgetown, which is located on the fourth floor of its building and features a rooftop garden where guests can enjoy their meal. After her husband retired from his 20-year career in diplomacy, her family immigrated to the U.S. from Korea. Once here, the Lees decided to open their first restaurant in 2005, Koriente, in downtown Austin. Lee was set on making sure the restaurant was three things: healthy, fast, and affordable. Koriente saw much success from its healthy Korean-fusion menu, and the Lees decided to bring the concept to Georgetown where they opened the first location of Nancy’s Sky Garden. At Nancy’s Sky Garden, which now has four locations, patrons can expect to find colorful plates of food because “vivid colors are more nutritious,” Lee insists. The menu consists of customizable bowls that offer a rainbow of fruits and vegetables, proteins like almond ginger chicken salad and various fish options, plus four different carb options: purple rice, sweet potato noodles, baked sweet potato, or a super grain mix. What is not on the menu is dairy and MSG. Lee’s focus on providing healthy options also means that everything on the menu is low in oil, sugar, or salt. “Every customer has a different need so we are trying to give them options for healthier choices,” she says. East Location: 6448 Hwy 290 E, A-100 nancysskygarden.com Georgetown Location: 501 S Austin Ave., 4th Floor Round Rock Location: 1105 S Mays St. #300 Cedar Park Location: 10900 Lakeline Mall Dr.
Breakfast is the most important meal of the day, yet also the meal most often skipped. n busy mornings, rushing out the door, breakfast is a fleeting thought, but it’s essential to start the day right. A good breakfast supercharges the metabolism and prepares the mind for a productive day. Breakfast bowls are convenient, customizable, and portable. They’re easy enough to make in just minutes or even prepare the night before for an instant breakfast the next morning. These bowls are so delicious, you may even want one for lunch, too. For these versatile receipts, use simple, fresh, healthy ingredients, or incorporate leftovers from the fridge, including overripe fruit and veggies. Let your tastes guide the preparation to keep breakfast interesting and well-suited to your morning mood—sometimes sweet and sometimes spicy. This smoothie bowl recipe is more of a formula than recipe. Customize this dish by substituting favorite fruits and vegetables for those listed. Use seasonal ingredients, like fresh berries or peaches in the summer, and apples or pears in the fall. Winter smoothies are a celebration of all things citrus. Add natural sources of protein, such as plant-based milks or plain yogurt. Top with seeds, nuts, and unsweetened coconut to balance the sugars in the fruit, or add dried fruit, nuts, and honey to sweeten the bowl. Ancient grains will take this bowl to a whole new level. Quinoa, millet, amaranth, farro, Kamut, teff, and other ancient grains offer flavor and texture that processed grains cannot match. Their flavor is nutty, rich, and complex. These hearty carbs also tend to have higher levels of fiber, protein, and minerals. However, the true test is in the taste. This savory bowl might just be the most exciting part of each morning! This recipe calls for leftover couscous, sautéed beet greens, sliced watermelon radishes, and a soft-boiled egg. If breakfast tacos are a favorite, you will love the spicy goodness of this savory bowl, and it is much better for the waistline. Greens, Sriracha, and radishes may make this bowl a new staple in any breakfast routine. Ingredients: 2 c. frozen fruit (bananas, berries, peaches, pears, oranges, mangos) 1 c. liquid (milk, plant-based milk, plain Greek yogurt, coconut water, water, or ice) 1 T. healthy fat (nut butter, coconut oil, avocado, nuts, flaxseed oil, flax seeds, chia seeds, hemp seeds, pumpkin seeds) Optional: 1 c. vegetables (sweet potatoes, greens, beets, squash, jicama, or celery) Toppings: 1 T. of your choice (fresh fruit, dried fruit, granola, seeds, nuts, coconut, raw cocoa nibs, bee pollen) Directions: Place all ingredients (except for toppings) in a blender. Blend until smooth, scraping down sides as necessary. Add a one of the toppings listed or any desirable combination. Directions: In a medium-sized pot, combine all ingredients except toppings, over medium-high heat. Stirring occasionally, heat to a boil, then reduce heat to a simmer and cover. Cook for another 15-20 minutes, until grains are tender and creamy. Top hot cereal with honey or brown sugar, milk, dried fruit, nuts, seeds, or any desirable combination. Directions: Rinse grains in a colander, removing any that look suspect. In a small pot, heat grains, broth, and salt over medium-high heat until boiling. Reduce heat to low, and stir grains occasionally. Cook for another 20 minutes, or until liquid has been absorbed. If grain is too al dente, add more broth and continue to simmer on low until desired doneness has been achieved. Drizzle olive oil in a sautĂŠ pan and place over medium-low heat. Once oil is heated through, add greens and cook until wilted but still vibrant green. In your serving bowl, fluff grains and top with halved eggs or slices of meat, sautĂŠed greens, and thinly sliced vegetable. Drizzle hot sauce on top, and finish with a sprinkling of sea salt. Arriving via a twisted trajectory through Israel, Spain, and NYC, Berty Richter landed with an inkling that Austinites needed real hummus in their lives. With Turkish and Israeli roots, his fresh-toorder hummus is bold and daring with just the right amount of spice. 1906 E Cesar Chavez St.
A happy place where breakfast is served all day. Of course, you can also get lunch, but why would you when you can have chilaquiles, huevos rancheros, and authentic breakfast tacos at 8PM? 3124 Manor Rd. The fresh tropical fruit juice and the arepas are why you need to visit Artessano. As a food trailer specializing in Colombian food, expect dance music and lots of friendly conversation when you visit. 1211 E 6th St.
El Sunzal is a quintessential hole-in-thewall that makes up for its bare-bones appearance with its exceptional El Salvadorian fare. Make sure to sample the fried yucca, seafood soup, and the pupusas. 642 Calles St. This unassuming store-front houses an outstanding array of donuts, kolaches, and breakfast croissants. Even if the food wasn’t enough, owners Socea and Sarorn make the trip to S-H worth it every time. 5313 Manor Rd. THINGS YOU HATE, LET US CALCULATE. FOR A QUICKER INSPECTION AND THE BEST CUSTOMER SERVICE MAKE AN APPOINTMENT TODAY! For your convenience please call us first and make an appointment. Serving up all-natural 1/4 lb. burgers with Tillamook cheeses, truffle fries, floats, and a wide selection of local brews. Bring veggie burger lovers too and enjoy. Expect to find vibrant dishes that match the food truck’s colorful personality. With cuisine that’s fresh and packed with flavor, the establishment offers a JapaneseHawaiian fusion menu that includes poké bowls, soba noodles, and dumplings. 1606 E 6th St. The soul food cooked within this bright orange building is made with such heart that it is overflowing with flavor. Ask any soul food lover and they will tell you each piece of battered fish and every bite of your smothered pork chop is a mouthful of comfort. Come hungry; Roland’s doesn’t skimp on potions. 1311 Chestnut Ave. Native Knowledge Customers who purchase a glass bottle and bring it back to the store will receive 50 cents in store credit. If someone had asked Veronica Torres 10 years ago if she would be working in a restaurant today, the answer would have been no. But as life would have it, she has found herself back in the industry she grew up in and running a shop of her own, a new organic juicery called Vida Pura.